Provides a school based dental clinic. School-based health centers bring the doctor office to the school so students can avoid health-related absences and receive support to succeed in the classroom. Quality of Life provides medical care for students during and after school hours. Services are available to all Gadsden City students, employees and their families. Uninsured patients may be eligible to receive reduced fees through the Sliding-Fee Discount Program. Discounts range from 25 to 75 percent, depending on the financial situation of the patient. If the patient is below 100% of the poverty level a nominal fee of $ 20.00 is collected. Patients applying for reduced fees must provide written documentation of their source of income and proof of residence at the time of service. $45.00 up-front payment for self-pay patients. 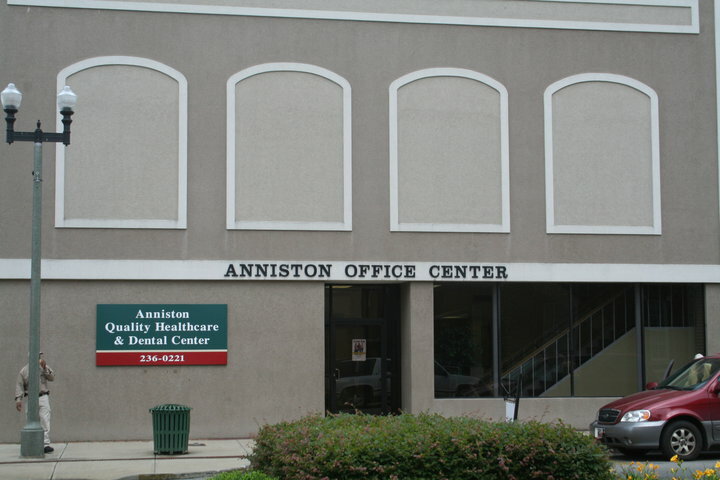 Dental clinics are located at the Quality of Life Health Complex, Anniston, Blount, Talladega, Cullman, Dekalb, Tuskegee, Cherokee Quality Health Care and Gadsden Family & Student Health Solutions. Finding dental costs for procedures is difficult. We created this section so users of our website can see what others have paid for dental treatment at Gadsden Family & Student Health Solutions. Do you know how much Gadsden Family & Student Health Solutions charges for services? Attention We cannot guarantee the dental costs to be completely accurate. They are displayed for informational purposes for our users. We have compiled prices provided by users and online research. In order to obtain actual costs please contact Gadsden Family & Student Health Solutions directly.